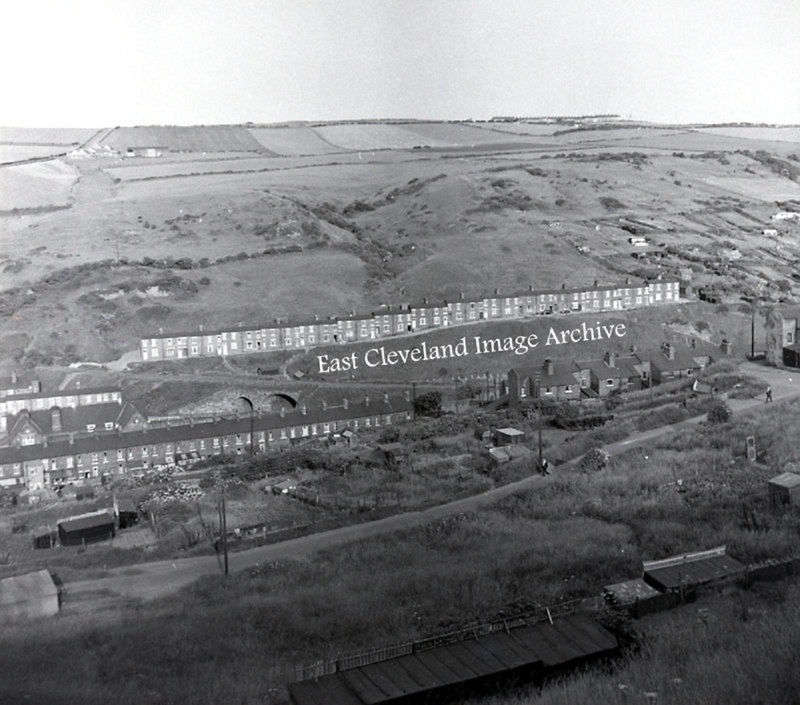 Skinningrove in 1960’s; the railway bridge over the beck still stands but the track rails have been removed prior to demolition. The Archive asked “Can any one help with the date of their removal”. Thomas Sayers has told the Archive: ”I have a photocopy of the whole of the bottom of the zig zag showing full details of all 13 sidings in yards, length and standage and in the bottom left is handwritten; “All sidings & RL removed 195? I have cut off the final figure on the photocopier at the NTM in York. I would estimate the final figure to be either 8 or 9”. Colin Hart advises: “The two arches one over the road, the other over the beck were removed around 1970, after this the new houses on Angling Green were built. My Grandparents lived at the bottom house on Grove Hill and we spent many hours playing in the old coal bunkers”. Image courtesy of Ken Loughran; also thanks to Thomas Sayers and Colin Hart for the updates. “All sidings & RL removed 195? The two arches one over the road, the other over the beck were removed around 1970, after this the new houses on Angling Green were built. My Grandparents lived at the bottom house on Grove Hill and we spent many hours playing in the old coal bunkers.